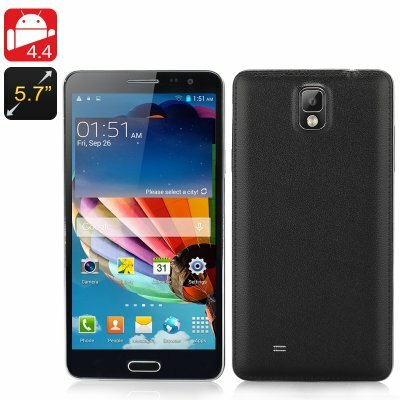 Successfully Added Octa-Core Android 4.4 Phone 'Note3' - 2GB RAM, MTK6592 1.7GHz CPU, 5.7 Inch IPS Display, 8MP Rear Camera, 16GB Memory (Black) to your Shopping Cart. 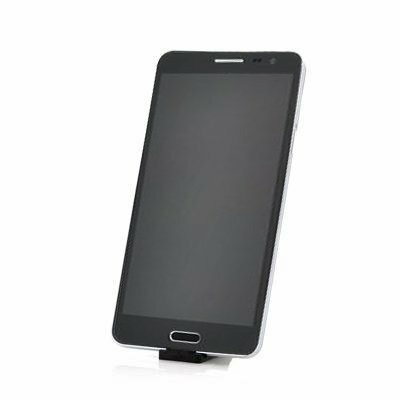 This Octa Core Android 4.4 Phone known as the Note 3 is a big screen phone at small screen costs and sports a 5.7 Inch IPS Display, Octa Core MTK6592 1.7GHz CPU providing extraordinary multi tasking and viewing fun. Octa-Core cell phones are fast becoming the norm nowadays and this 'Note3' has a substantial 5.7 inch screen and is being offered to you by Chinavasion at a wholesale cost so you can get in on the action. At the heart of this phone is an MTK6592 Octa-Core 1.7GHz processor and 2GB of RAM that can smoothly handle all your applications, providing you with seamless usage when multitasking. The Android 4.4 framework gives you a chance to customize the phone's interface and gives access to the Google Play store so you can download from the extensive range of applications. With an 8 megapixel back camera that can achieve 13 megapixels with interpolation you can now capture photos and video in high definition and it has plenty of room to store your latest shots due to having 16GB of internal memory. Explore the menus by barley lifting a finger when utilizing the highly responsive 5 point capacitive touch screen that is offered on this Octa-Core cell phone. The expansive 5.7 inch screen shows videos beautifully or you can enjoy the latest mobile gaming while you commute as the 1280x720 resolution displays images at 258 pixels per inch.